This beautiful gift book is small enough to be shoved in your backpack as you head off to get your nature fix in London. Enticing photos and good directions make this one of those guides that is as good to fall into on the tube as it is to work out where to find a wildlife friendly pond to picnic next to (Tower Hamlets Cemetery Park). Some of the places listed I can vouch for myself. I like the crazy little triangular castle at Severndroog which has amazing views over London; Spitalfields City Farm, home of the Oxford v Cambridge Goat race; and Bunhill Fields, the city oasis that’s also the burial place of William Blake. But I was really impressed with how many of the places listed I’d never heard of – what about seeing herons at the Greenwich Peninsula Ecology park, or learning woodworking at the Green Wood Guild in Stepney? There are useful suggestions of relaxing pubs and outdoor activities, and also a list of festivals such as the Marylebone Summer Fayre and the Cultivate Festival in Waltham Forest. Many of the things listed are free, and also easily accessed by public transport. If you’re hot in the city just now, this book will help you get a bit of country escapism without having to go too far. 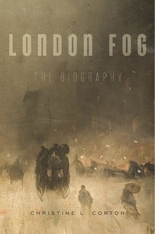 This very readable history of London fog was a surprise hit this winter. Beautifully illustrated, with colour pictures well integrated into the text, Corton provides not only a good summary of why fogs happened and why they stopped but also gives an erudite account of how they affected people’s lives (and deaths). Cultural responses to the phenomenon are explored in detail. It’s no surprise to find Whistler, Turner and Dickens here, but I was delighted to be introduced to Rose Maynard Barton and Yoshio Markino. If you are already thinking about climate change, and how human behaviour can influence weather for the good or bad, this is a useful and not too heavy addition to your reading list. It is one of the several excellent new books on weather and nature this year (for more examples, come and see our display table on the top floor – we particularly like Thunder and Lightning too). Contemporary journal entries from both authors candidly show the delights and strains of being ‘alone and together’ in Antarctica. Relationships within the camp and with those back home, as well as colleagues from other national research camps, become of prime importance. 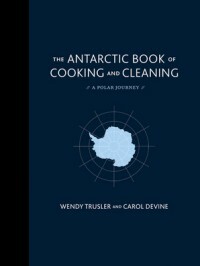 For anyone whose imagination and interest strays towards Antarctica, or who likes unusual cookbooks or tales from women travellers, this is a must. One of the most unusual and beautiful books we have in the shop.